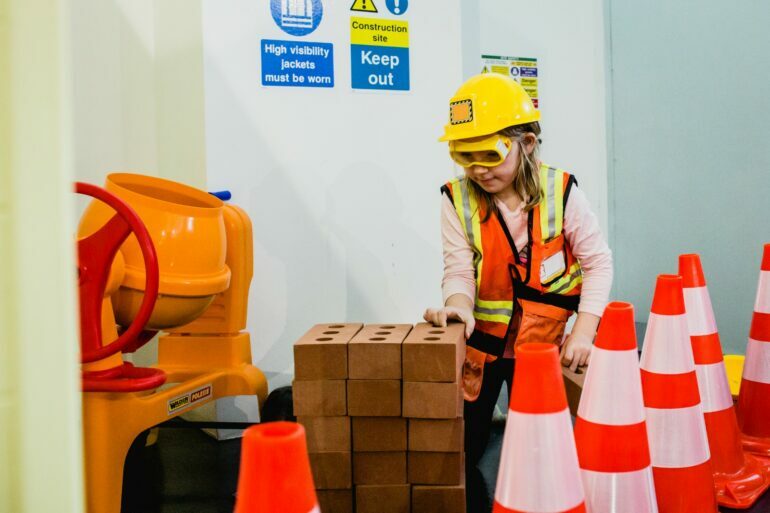 Role2Play, a new play hub in Walthamstow, opened its doors in February this year and is already proving to be a big hit with kids and their parents. This model street within a mini town comes complete with child-sized supermarket, café, medical centre, garage, fire station and more, allowing kids to really let their imaginations run riot as they take charge of the space. Grown-ups are allowed in but, if your child is quite happily getting stuck in without you, you can have a nice sit down with a cuppa in the café section (which gives you ample opportunity to keep a watchful eye over things from a distance). The café serves drinks, snacks and cakes; no food is allowed in the actual play area. My little one absolutely loves the mini cars and scooters (beware of becoming roadkill when you’re innocently sitting on the ‘road’ – kids in cars are fast!). She can also spend most of her time cuddling cats at the vet’s, making sandwiches in the café, and filling a shopping trolley in the supermarket. 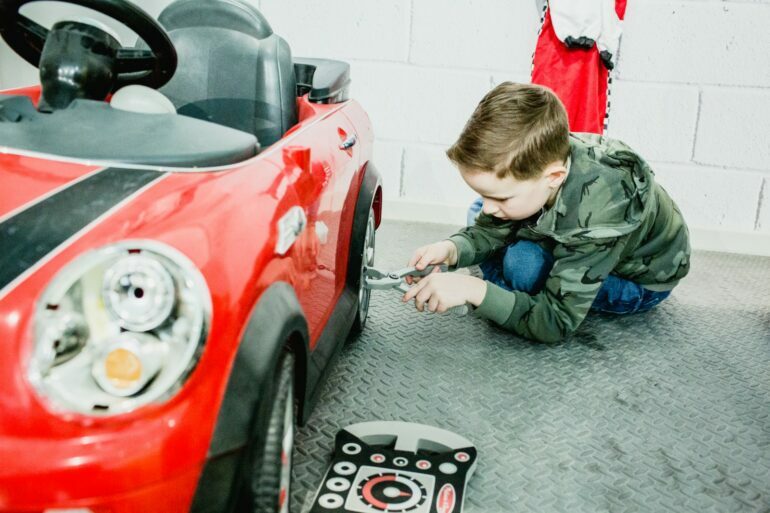 Areas such as the car mechanic’s and fire station have child-sized props and dressing-up costumes to help them really get into their roles. A construction site complete with bricks and traffic cones, a medical centre kitted out with anything a doctor or nurse could need, and a theatre complete the street. I liked the quieter reading corner and the smaller, sometimes overlooked, touches including a campfire area and vegetable patch. Be aware that at peak times (usually the morning session) the play space can be quite busy, noisy and (inevitably) messy. Obviously, weekday morning and lunchtime sessions are full of pre-school children, with a varied mix of under-7s in the afternoons and Saturdays. But there’s a great buzz – kids have the opportunity to learn about sharing and playing together safely. Role play helps them to grow in confidence, develops their communication skills and lets their imagination run wild! Sessions last 1.5 hours with four sessions running daily Mon-Sat (closed Sundays), and throughout the school holidays (hooray!). Session times are: 9.30am – 11am; 11.30am – 1pm; 1.30pm – 3pm; 3.30pm – 5pm. Prices: £7 per child (up to two siblings priced an additional £3 each). Adults and babies under 1 year old are FREE. Location: 75 Fulbourne Road, Walthamstow, London E17 4EZ (N.B. parking is limited to resident permit parking on weekdays – unrestricted at weekends; there is also a ‘pay and display’ car park nearby). Nearest train station (Wood Street) is under 15mins walk away. For more information and to book a play session online visit their website.